Private yacht charter Newport, RI, is just beginning for the season in May. We have had the last snow (we hope! ), the sun is out and flowers are blooming. Newport is waking up to a busy summer season. The video below shows a dormant Newport Harbor, sleeping still from the winter season. This video was taken right in front of the Northrop and Johnson Yacht Charters office in Newport on Coddington Wharf. This is winter in Newport on the Harbor. We will take a video again when the yachts start to arrive and fill the docks, and then again at the height of the summer season, when the harbor is full of yachts and a beehive of activity. But for now, we sit and wait a few more weeks, until the first sailing yachts start to blow in from the Caribbean, followed in stately progression by the motor yachts. 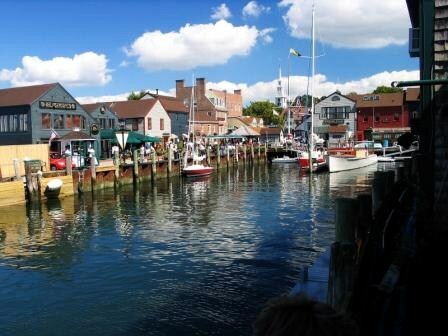 The harbor will come alive and downtown Newport will overflow with visiting yachtsmen welcomed back for another summer season of yachting as Newport is a hub for luxury yachting in New England. 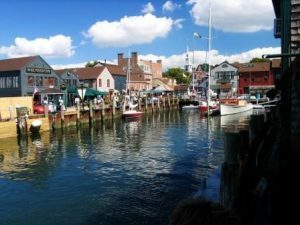 Newport, RI has always been a maritime hub since the late 1600’s, when Newport was founded, as the harbor is the deepest salt water harbor on the east coast of the United States. Clipper ships in the 16 and 1700’s could sail right into the harbor and up to the docks to unload. In the 1700’s Newport was a far more important port than either Boston or New York, until the Revolutionary War when the British blockaded the harbor and trade came to a standstill. Today private yacht charter in Newport RI is the draw for yachts to fill the harbor once again.